I have completely lost track of the days. I could not tell you what day of the week it is today nor whether it’s been three days or 30 since the last update. Six and a half weeks into this adventure, the boys are 34 weeks corrected gestational age. The routine remains exactly the same day in and day out. The routine remains exactly the same day in and day out. The routine remains exactly the same day in and day out. We park the car in the second or third row of the parking lot. I take off my sunglasses to put on my eyeglasses when we hit the crosswalk leading past the complementary valet and into the Lawrence Hospital Entrance. We walk through the first set of automatic doors and head straight for the second set to our right – you don’t need to slow down, they’ll open right as you think you’re about to smash into them. I immediately prep for the blast of cold air conditioning that cools the hallway. We enter in front of Ambulatory Surgery, pass a set of restrooms and cross one of the hospital’s lobbies. Next to the gift shop are three elevators; we take whichever one arrives first up to the third floor. We then head toward the NICU’s lavender awning located to the right of the elevator bank. The door opens and we squirt a shot of antimicrobial gel onto our hands. We greet the nurses as we rub in the gel while heading to the second and third beds (now one pedi-crib) on the left of the pod. 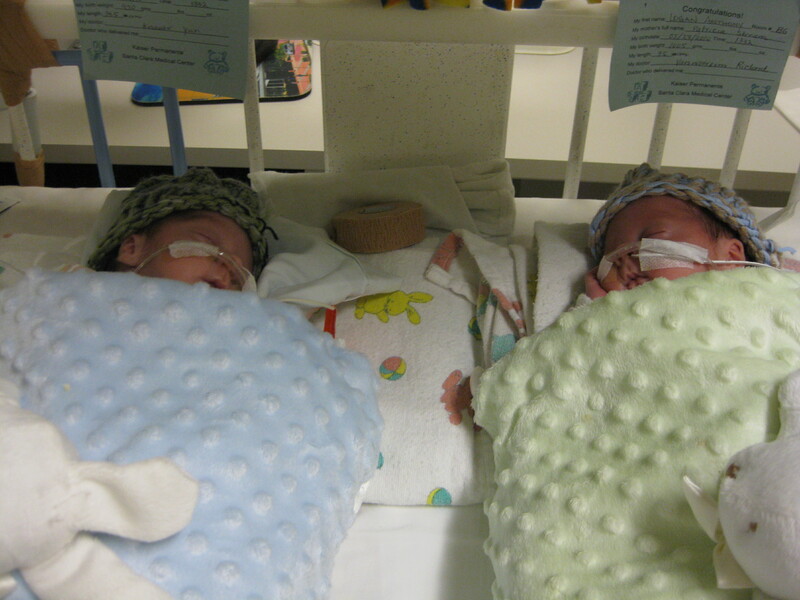 I put my purse under their crib and ask, “How are my little guys today?” The nurse tells us they’re doing well. Jon and I set about taking the boys temperature. Destroy screams bloody murder; Search makes grumpy faces. Then it’s time to change diapers. Wipes are located above the pod sink, where we dampen them with lukewarm water. Diapers are stored in each kids respective corner. As we pick up the muppets to feed them their bottle, I ask the nurse what their weight is. We’re all ready to come home. The nurses warned us when Search and Destroy first arrived that time would likely mess with our emotions in this precise manner – although time passed by so quickly at first, it will start slowing down interminably as we approach our homecoming date. We are currently looking at 2-3 weeks more – but at this point, it’s all up to the boys. Search and Destroy seem equally ready to come home. In fact, they have overheard us speaking about the three big criteria and decided to let the nurses know they’re ready. 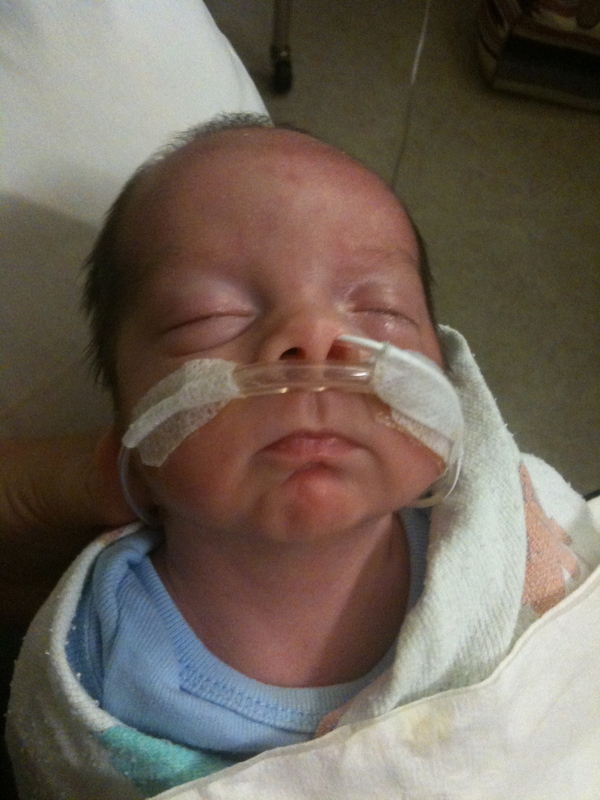 Destroy has made it his personal mission to permanently remove his nasal cannula. My poor little guy currently has a large red welt on his cheek because of his vigorous removal methods. I assumed that ripping the tape off his face would make him cry. It did not – he just gave us all a sly grin. 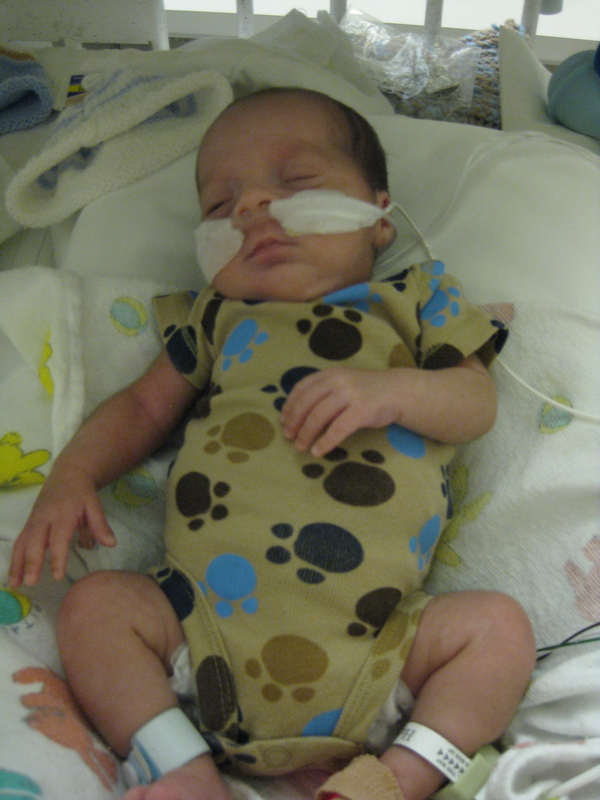 Every time we swaddle him, we’ll see his little hands sneak out of his wrap and covertly grip at his wires. “Well you said we couldn’t come home until we were off our oxygen tubes.” Destroy was just speeding that process along. Each day our routine remains the same. I just need to remember to take a step back and remind myself that we weren’t even supposed to have met the munchkins yet. 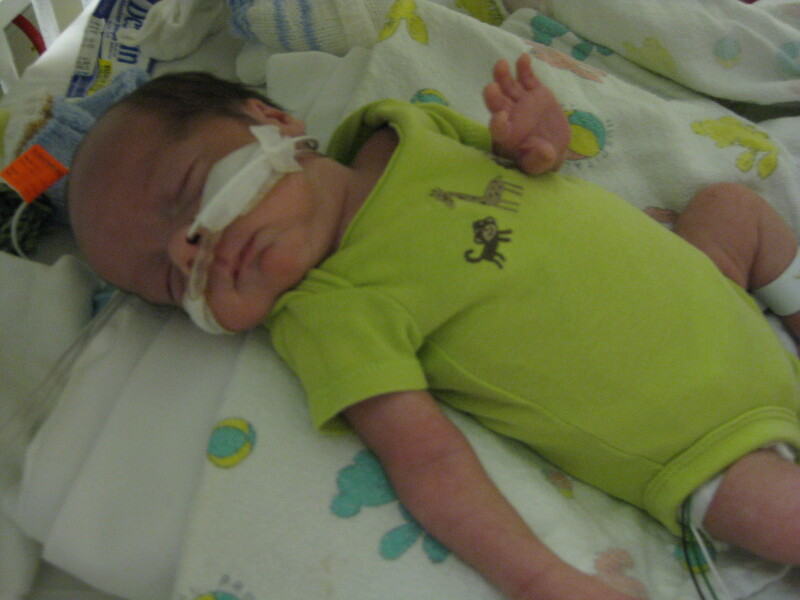 They’re still tiny babies – even if they are rapidly approaching merely “small” as opposed to tiny. For people viewing these photos, take note at how round Destroy is around the tummy. High calorie diet . . . .
All the more huggable and squeezable! I’m so glad they are getting healthier and healthier. I cant wait to meet the lil’ guys. Naomi just wants to corrupt them! I’d gladly donate more tummy weight – I have so much to give. I can see that each day blends into the next – it must seem like you’ve been doing this forever!!!!!!!!!! BUT, it’s gone about as smoothly as it could have from what I’m gathering. Sounds trite, but hang in there – you’re getting to the home stretch! I’m so thrilled that they’ve doubled their birth weight — they just get more adorable all the time — “Homecoming” is getting closer — G.G.